Register your expertise! Be visible! Welcome to Business Consultants Council! BCC is a Full Member of Global Institute for Management Consulting – ICMCI which is open to the organized entity of any country with intends to be the recognized national professional institute for individual management consultants. ICMCI is an international membership organisation and a network of the management advisory and consultancy associations and institutes worldwide, who have a common purpose and shared values and goals. subscribes to the minimum Code of Professional Conduct of ICMCI and has installed this Code pending development of its own Code. It intends to develop a formal certification/registration process and has a governing Council or Committee prepared and empowered to affirm on behalf of its members support for the aims and objectives of ICMCI. Business Consultants Council is an association of leading business services providers in Kosovo and recognized by local and international partners for its professionalism, standards of excellence and customer care. Jehona is result drive profesional with more than ten years of experience in private sector development, strategic management and management consulting being part of various projects since 2006 in Kosovo and in United States. 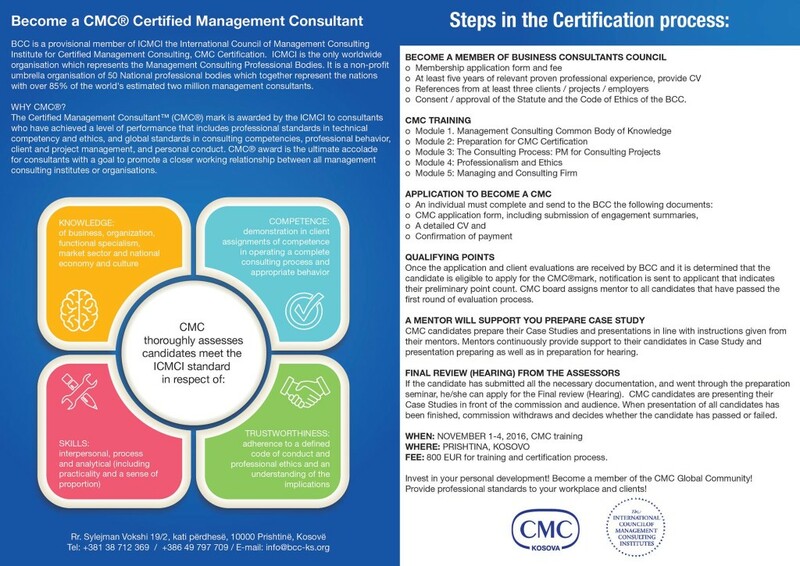 Jehona is certified management consultant (CMC) of the first generation and mentored by the International Council of Management Consulting Institute. Ranked as top sales representative under regional Sales Manager in the US. Jehona was a co-founder of Business Development Institute, a private company with focus in management consulting, banking, SME development and HR development in Kosovo, USA, Germany and Ecuador. It is also involved in several local and international projects to support business development. She worked in export promotion program between local and Swiss producers. She also worked for British companies wishing to do business in Kosovo, Albania and Macedonia, which are presented to potential industries for investment and doing business environment, project funded by the British government. She is a graduate of the American University in Kosovo partnership with Rochester Institute Technology majoring in Business Administration program with an emphasis on Management and Entrepreneurship with three years of experience in administrative support and four years in project management in order to develop the SME sector (Small and Medium) in Kosovo. 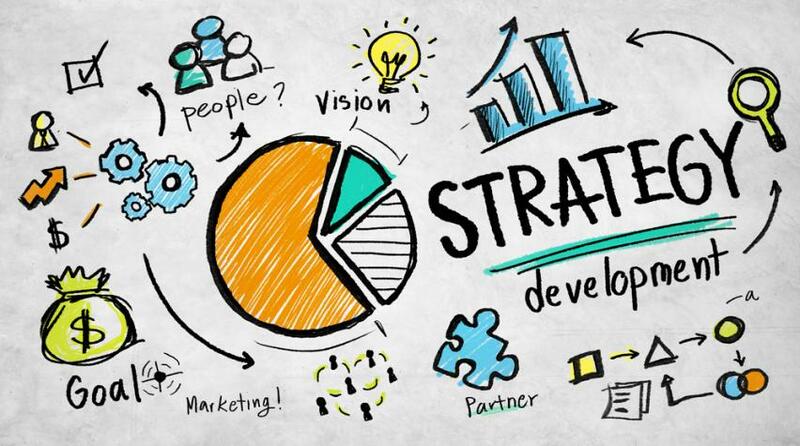 Demonstrated ability to develop, implement and oversee innovative marketing and promotional campaigns in different sectors both in local and regional level. Jehona aims to contribute to BCC and make it an important institution in the development of the private sector in Kosovo, linking management consulting companies and local institutions and foreign at the same time making sure that ethics and social responsibility remain the main priority. Pylljon is a passioned young person who is commited to empowerment of young people in social businesses development, consultancy field capacities and focused in soft skills preparation. He is a graduate of the UBT College majoring Political Science program, also the first representative and pleader of this college, in the prestigious international arbitration law competition ”VIS Moot court” held in Vienna, Austria. Pylljon aims to increase furthermore the respected image of BCC to a level where young people will benefit from this institution, and become self-employed, consultants in different backgrounds and contribute to promote constantly the transparency and quality of services in Kosovar trade. A young and ambitious professional with more than 4 years of work experience and with an exceptional track record in the management of day-to-day Business Operations, Finances, Organizing, Planning and Customer Service. Genaela Dujaka is a graduate of “Biznesi” College with a degree in Management and Economics. Aside from her passion for Economy as a field of her interest and having a relentless energy she also started to study for English Language and Literature at University of Prishtina “Hasan Prishtina” where she is currently in her 3rd year of studies. Within 4 years she became a Finance Administrator at BCC ( Business Consultant Council ) and assists organization’s day-to-day accounting procedures. She always aimed an ideal work environment which she found by working at BCC. o Approval of the Statute and the Code of Ethics of the BCC. o Module 5: Managing and Consulting Firm. If the candidate has submitted all the necessary documentation, and went through the preparation seminar, he/she can apply for the Final review (Hearing). CMC candidates are presenting their Case Studies in front of the commission and audience. When presentation of all candidates has been finished, commission withdraws and decides whether the candidate has passed or failed. BCC maintains 5 categories of membership, each of which is designed to address the unique needs of our members. Whether you’re a small or a large company, at Business Consultants Council you are always welcome! Our extensive member base consists of, amongst others, consulting companies, individuals, engineers and many other service based businesses. Check the following document for each membership category, including the benefits and opportunities.